Mary B. 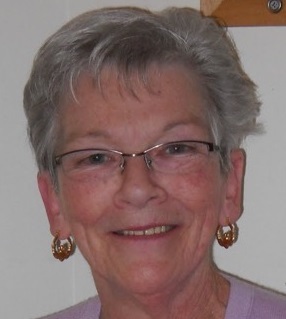 (Henry) Coen, 75, passed away peacefully surrounded by her loving family on March 21, 2019. She was the beloved wife of the late Michael B. Coen. Born in Urlaur, Co. Mayo, Ireland, she was the daughter of the late Michael and Bridget (McLoughlin) Henry. Mary’s pride in her Irish heritage was evident through her love of music, dancing and drama. She was a founding member of the RI Irish Drama Society. Mary and her late husband were the owners of the former Spring Hill Farms convenience store, in North Providence. She enjoyed gardening and was a natural with plants and flowers. Spending time and caring for her grandchildren was the highlight of her life and her greatest joy. She is survived by her sons, Brendan Coen and his wife Aleth, John Coen and his wife Michelle, grandchildren, Caden and Landon, her brothers, Joseph and John Henry, and her sisters, Patricia Henry and Catherine Murphy. Mary was predeceased by her brother Dominick. Funeral, Monday at 9 am from the Russell J. Boyle and Son Funeral Home, 331 Smith Street, Providence, followed by a Mass of Christian Burial at 11 am, in Our Lady of Czenstochowa Church, 445 Washington St, Coventry. Burial will follow in St. Ann Cemetery, Cranston. Visitation Sunday, 4 – 7 pm.